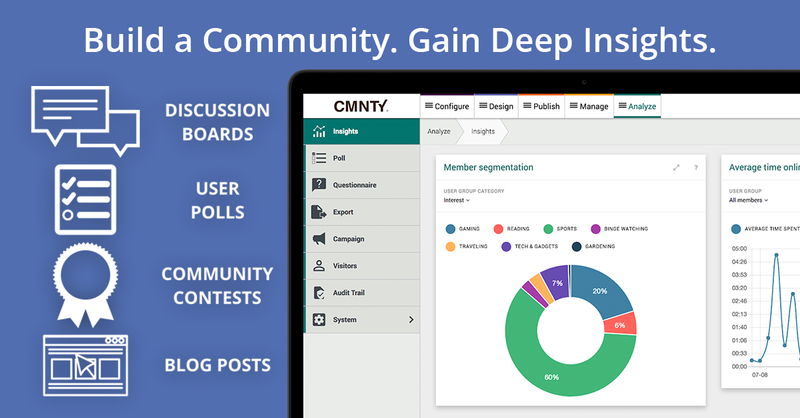 CMNTY Is A Powerful Alternative To Lithium Community Software. Here’s Why. 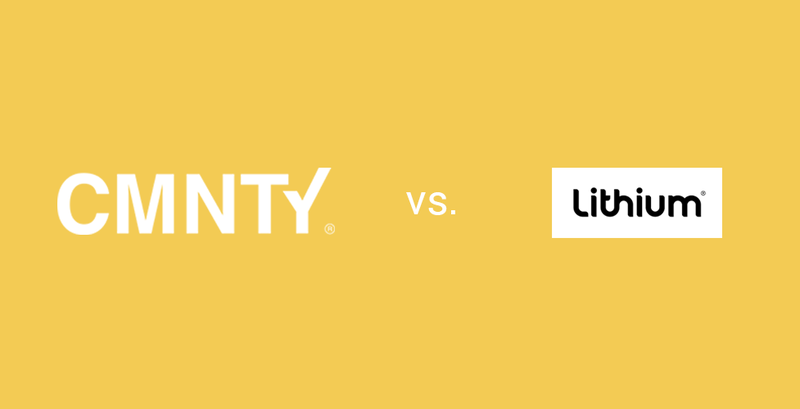 Over the years we have received many questions on how CMNTY compares to Lithium Community Software. We also successfully migrated customers from Lithium to CMNTY. While we rarely look at competitors, I guess you could say we’ve gained knowledge about Lithium and we are more than happy to share what we learned. While Lithium Technologies offers many products — from Social Media Management to Online Communities — CMNTY focusses on one single product: CMNTY Platform. Lithium’s Community product is largely aimed at companies that want to create customer “self-help” forums. Ultimately to help them reduce costs of their customer support department. Like we wrote in the introduction, CMNTY was built to drive innovation and to help you understand your customer’s experience. Additionally, we like things to be easy to use and good looking. 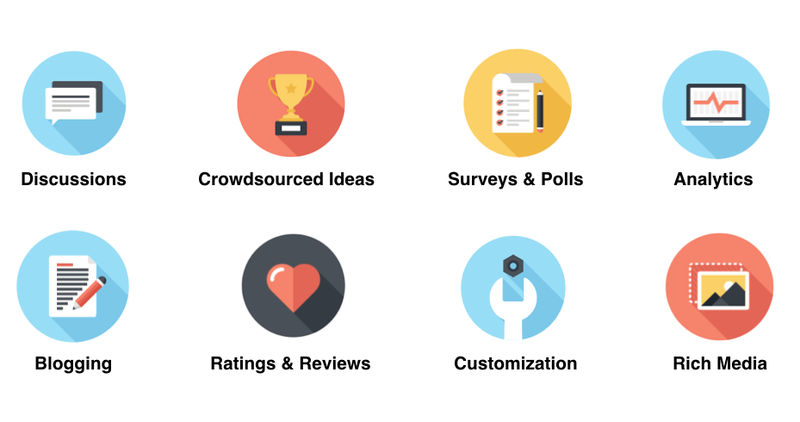 That’s why our platform comes with a lot of insights-driven and DIY features on top of the more general community features mentioned above. Here are some features that stand out when comparing us to Lithium software or when you are looking for an alternative. CMNTY’s Enterprise price tag starts at $6,000 per month, while Lithium Community Software typically starts a multiple of that. Why it has to be so expensive? We don’t know! 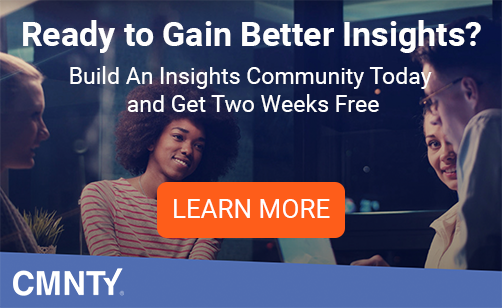 Also, if you don’t need Enterprise features like a private server, support for more than 25,000 members, and are comfortable with a Do-It-Yourself solution, then you can even start at only $1,250 per month. Lastly, our DIY plans also come without a contract. This means you can come and go, and basically run your project on a month-by-month basis. Lithium Community Software on the other hand typically runs on multi-year contracts. Lithium treats community software as custom development projects. While customization capabilities go very far, it means it can take a while to setup. It may also be difficult to make changes once the platform is live. With CMNTY’s Enterprise plan, roll-out speed from contract sign-off to launch on average spans only 2-3 weeks. This is possible because CMNTY works with templates that are ready to go and can be customized to your needs on the fly. It’s quite possible you are currently running a Lithium Community and want to keep your data when you move to CMNTY. You’ll be happy to know that we will be able to import members, forum conversations and most of your other data. Reach out to our sales team to discuss what you need for your migration and what to ask the Lithium team when they are making an export. The most common way to get a personalized experience of Lithium Community Software is through a personal demo (via phone, Skype or in-person). We also love giving you demos, but, at the same time, believe in the power of online trials. We’d like to think that our product explains itself.